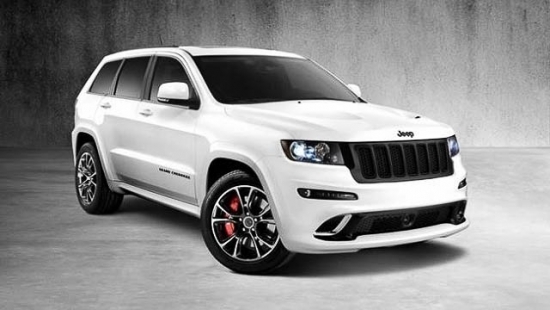 FCA will be issuing a recall on their 2016 Jeep Grand Cherokee for a wiring harness issue related to their transmission shifter. The issue has been identified as a faulty wire harness terminal which is associated to the transmission gear selector could come loose and not engaging the shifter to move out of “Park” or “Neutral” after parking. FCA has said that the issue originated from a wire that was not crimped properly during production. In the interim, FCA has advised that all owners of the affected vehicles use the parking brake when leaving their vehicle. The total number of vehicles affected by this recall is estimated at 32,267 in the US and 2,095 in Canada. We encourage owners of these affected vehicles to contact their local dealers for additional information. BMWs updated i3 is set to debut to the market this summer. With the larger 33kWh capacity batter in the new model, the i3 will now be capable of approximately 300km of ev range which close to doubles its previous range. With BMW’s range extender package, you could theoretically get a solid 400km combined range out of the updated i3 thanks to the addition of a 34hp gasoline engine. Those who currently own an i3 will be happy to hear that their vehicles can be retrofitted with the new battery pack to bring it to the updated specifications. 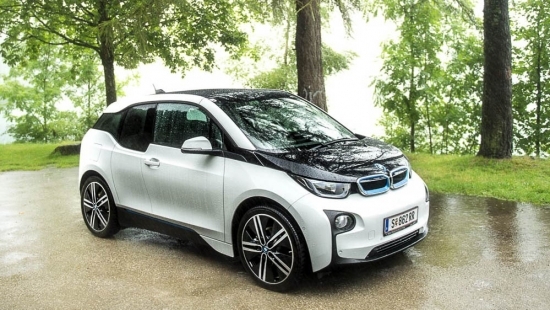 The all new BMW i3 is priced around $42,219USD or $47,397USD with the Range Extender. 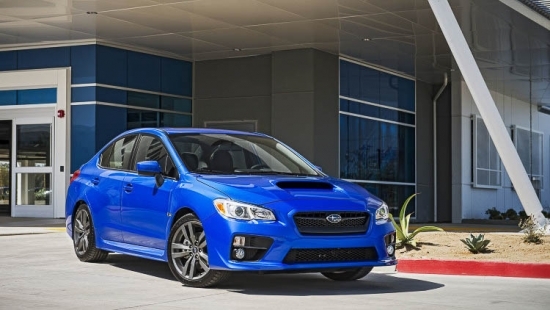 Subaru is set to recall their 2015-2016 WRX and Forester 2.0XT. In total 18,200 examples of these cars are affected by the recall. Subaru identified the issue as a defective turbocharger intake duct which can crack and result in a poorly running engine. The problem originates from defective materials which were used in the production of the intake duct. If you own a WRX with a production date between April 10, 2015, and October 21, 2015, or a Foresters with a build date between April 10, 2015, to October 20, 2015, contact your local dealers for more information about the fix. Dealer service includes a full inspection of the turbocharger and the intake system. If the part is deemed defective, it will be replaced at no cost to the owners. Nissan has issued a recall on their 2016 Murano and Maxima vehicles. The company has identified an issues with the antilock braking system and vehicle dynamic control system. A faulty O-ring in the ABS actuator is causing brake fluid to leak which results in a loss of braking performance on the vehicle and may increase the risk of a crash. 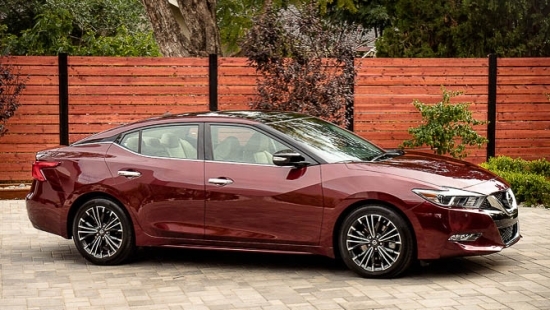 Nissan will begin recalling these vehicles and notifying customers beginning June 2016. So far, no accidents or injuries have been linked to this recall. If your car is affected, you will need to bring it into the dealer ship where the braking system will be inspected and all faulty parts will be replaced at no cost to you. We encourage you to contact your local dealers for more information. 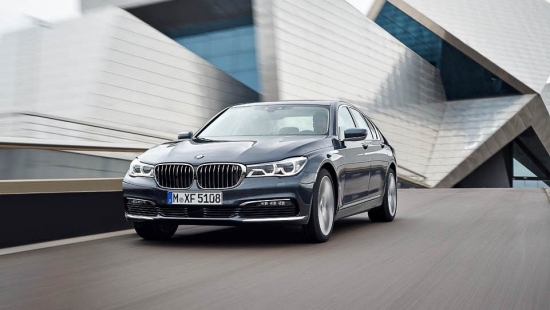 BMW is recalling 26,000 of their flagship 7 series due to a potential airbag module issue. The problem is that the airbag control module which are in any series produced before December 1, 2015 are defective and result in possibly the airbag not deploying. According to a spokesperson for BMW, the production numbers of 2016 BMW 7 Series is close to 47,000 to date. So over half of the new modeled vehicles will need to be recalled for this issue. BMW also states that the recall is a precautionary measure. Owners of the affected vehicles will be contacted by their local dealerships in May by letter. We also encourage owners to reach out to their local dealership for more information. 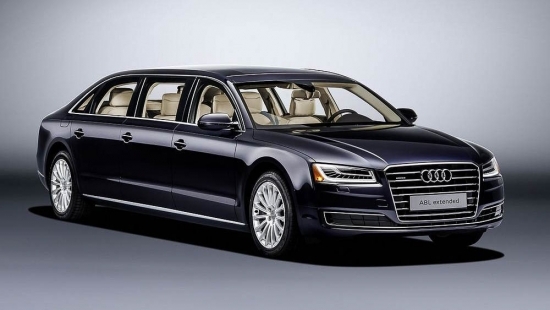 The 2016 Audi A8 L is one of the longest wheelbase vehicles in its class. The A8 L stretches an impressive 207.4 inches, so what can top that? Well, an extended version of the L. Audi, by special request by a customer built the A8 L Extended which spans a massive 250.8 inches. The extended A8 was designed and built all inhouse and took a good part of a year to complete. The body and chassis has been lengthened 13.8 feet and now seats 6 passengers very comfortably. Audi decided to drop in their 3.0L supercharged V6 motor under the hood which pumps out 306hp and 325lb/ft of torque. The beefy sedan isn’t a slouch either being capable of a 0-100km/h sprint in 7.1 seconds. 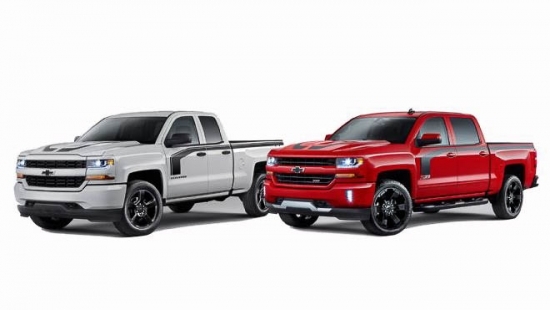 Chevrolet continues to put out specially packaged Silverados to suit a wide ranging needs of their customers. The Silverado 1500 Rally Edition made its official debut at the Texas Motor Speedway at the Duck Commander 500 race this past weekend. The new Silverado 1500 Rally Edition features a monochromatic paint scheme on the exterior. Visual enhancements include a pair of black hood stripes as well as black swooping side decals that span from the front doors to the rear hatch. All of the chrome trim you may find on other Silverados has been replaced with black trim to give the car a more purposeful look. Wheel options will be either 20 inch or 22 inch aluminum wheels finished in black. Lexus set the stage for their performance segment when they brought the ISF to the public. It was an affordable four door hot rod of a sedan. Now they’re taking it to the next level once again by having their engineers churn our another F model vehicle, this time in the shape of a GS which will take on the BMW’s M5 and Mercedes’ E63. Lexus’ GSF may look somewhat similar on the outside to its other GS siblings, but a deeper look quickly indicates that the F model is wider, lower and longer than the others in the lineup. The suspension on the GSF has been tuned with aggressive springs matched with electronically controlled shocks which can settings to suit your different driving needs. 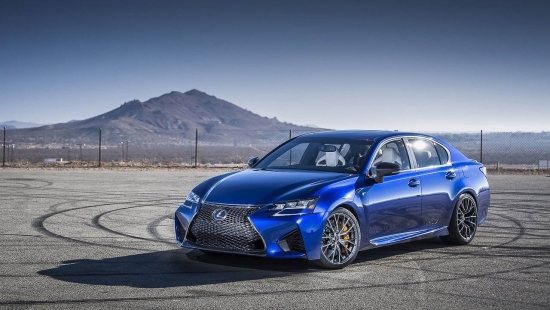 Whether its taking the kids to school, or taking the car on the track for the weekend fun, the GSF is fully capable to handle whatever is thrown at it. 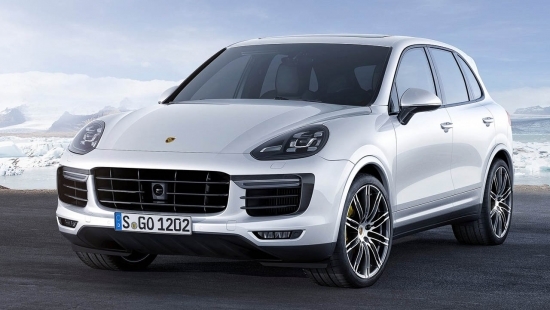 Volkswagen and the Porsche group has issued a recall for approximately 800,000 Touaregs and Cayenne SUVs globally. The issue has been identified as a faulty component on the brake pedal assembly, specifically a circlip that could potentially come loose on the bearing bracket for the pedals. Currently, 391,000 Touaregs and 409,477 Cayennes with a build date between 2011 and 2016 are impacted by the recall. If the circlip comes loose, the brake pedal could possibly lose its functionality. No accidents or deaths have been linked to the recall at this time. Owners of impacted vehicles are urged to contact their local dealership for more information. 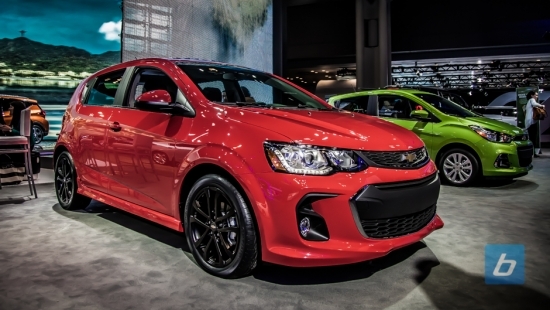 Chevrolet brought out their all new 2017 Chevrolet Sonic today at the New York Auto Show and it got some new goodies. The entire front end of the Sonic got a redesign bringing in new elements on the hood, bumper and headlights. Headlight technology has been updated to bring in projectors and LEDs as standard fare for the Sonic. New color options will also be available for the Sonic which will feature an Orange Burst Metallic, Brimstone, Cajun Red, and Arctic Blue Metallic. The Sonic will get two engine choices for the upcoming generation. The base 1.8L four cylinder producing 138hp and 125lb/ft of torque. A new 1.4L turbo four cylinder will also be available which produces 138hp and 148lb/ft of torque. Both engines are designed for fuel economy but will offer some pep given the small size of the Sonic. Look for the Chevy Sonic to be at dealerships very soon.